The FAMIUM Personal Cloud is an overlay network for all your personal devices and thereby combines them to a single virtual device. It permanently connects your smartphone, your laptop and TV and even your car in a secure way with each other. 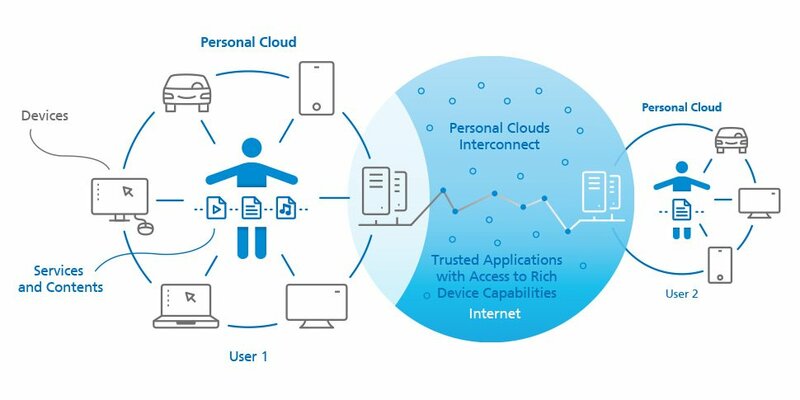 Personal Cloud applications can then access data and features from all connected devices. The FAMIUM Personal Cloud is well defined and highly extensible, meaning that for instance applications to share media and services, remote control TV playback, controlling TV rendered 3D games using phone gestures and movement, doing cross device advertising or multi-screen interactive apps, can all use the same framework. 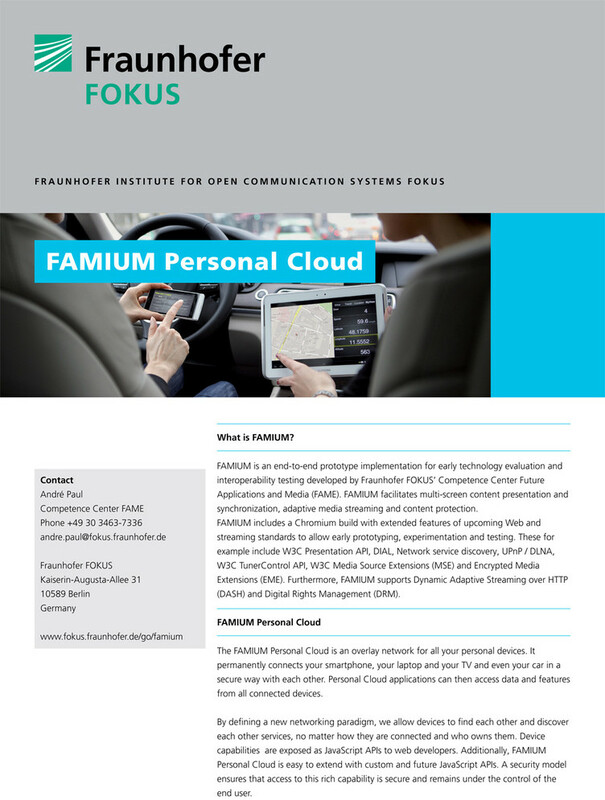 To stay updated on the latest developments of FAMIUM Personal Cloud and news of Fraunhofer FOKUS FAME, please subscribe to our newsletter.